In this week's Abundance Insider: AI fashion consultants, 3D printed fully functional electronic circuits, and editing genes inside the body. What it is: In Bordeaux, France, police are using drones to monitor roadways and flag traffic violations. When they spot a traffic violation using the drone’s camera, officers can track the vehicle before sending traffic cops to stop the vehicle. Since the trial began in the summer of 2017, they’ve stopped as many as 15 to 20 cars per hour and handed out “hundreds” of fines. What it is: San Francisco-based startup Poly is hoping to help all retail stores become like Amazon Go, the experimental unmanned grocery store. 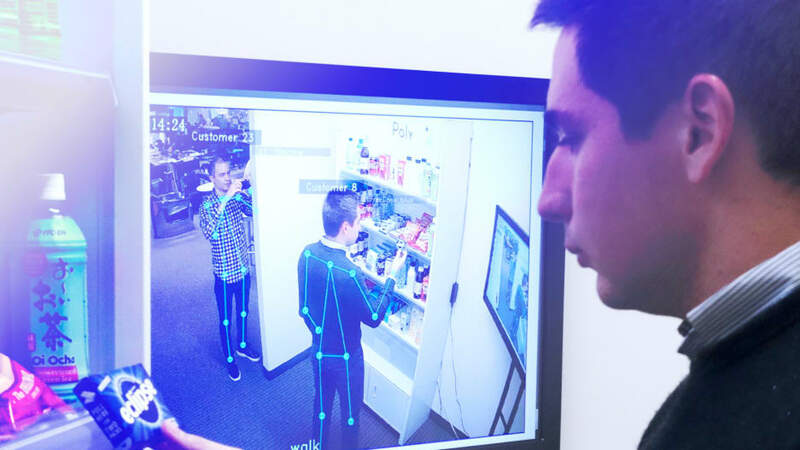 Fast Company had an exclusive preview of the technology, which includes a camera system and machine learning models that track customers’ behavior. What it is: Ford, startup company Ekso Bionics, and the United Auto Workers Union have teamed up to bring bionics to the assembly line. To reduce worker injuries, particularly shoulders, Ekso created the EksoVest, which provides around 15 pounds of lift support per arm. The four workers who have been testing the vest no longer need to ice their necks multiple times per week, feel better overall, and are more energetic during their shifts and afterward. Next, Ekso plans on bringing in powered exoskeletons to do more of the heavy lifting now that workers are becoming accustomed to the feel of the vest. What it is: At Alibaba’s annual Singles’ Day shopping festival, FashionAI helped drive a significant portion of the firm’s $25 billion in sales (a new single-day record). The artificial intelligence system uses deep learning to make fashion recommendations based on the store’s inventory and the tastes of fashion experts and designers on Alibaba shopping sites. What it is: At the University of Nottingham, researchers have devised a method for rapidly printing fully functional electronic circuits. The team discovered that UV light could be used to evaporate solvents in a silver nanoparticle conductive ink, enabling the fabrication of devices like antennae or solar storage cells at the rate of roughly one layer per minute. Earlier methods required heating the ink in an oven, layer by layer, which is impractical for devices that might require several hundred layers. What it is: Using zinc finger nucleases, a method of gene editing similar to CRISPR-Cas9, scientists have made their first attempt at editing genes inside the body, hoping to cure the currently uncurable Hunter syndrome. By encoding the good gene and the zinc fingers into a virus modified to target the liver, the the team released billions of the good genes into the bloodstream, with a goal of correcting 1 percent of the cells to bring the 40-year-old Brian Madeaux some relief from daily medication. If successful, the team hopes to test out the treatment on children who have yet to feel the worst effects of the disease. At Abundance 360, Peter's 250-person executive mastermind, we teach the metatrends, implications and unfair advantages for entrepreneurs enabled by breakthroughs like those featured above. We're looking for CEOs and entrepreneurs who want to change the world. The program is highly selective. If you'd like to be considered, apply here.